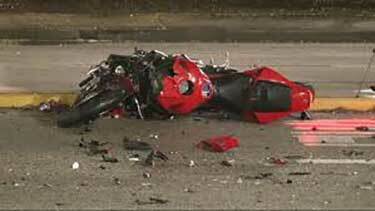 Early Sunday morning a motorcyclist died from colliding with an SUV in west Houston. The accident occurred around 3:15 a.m. on Westheimer near Stoney Brook. According to HPD a gray Honda SUV pulled out of the parking lot onto Westheimer crossing four lanes of traffic to make a U-turn when the driver was T-boned by a red Honda motorcycle. Witnesses mention the motorcyclist was traveling at a high rate of speed when the driver crashed into the SUV. There was a man and a woman in the SUV that was not injured. The driver of the motorcycle was a 22-year-old man. He was transported to Memorial Hermann Hospital Southwest where he later died. There are no charges in this accident. The crash remains under investigation and police reports will be made available in ten days. If you or a loved one were involved in motorcycle accident, it is important to contact a legal expert to help you evaluate your options. Call (713) 987-7111 or send us an email to discuss your car accident injury case.